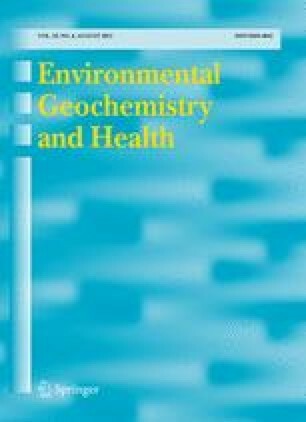 In many older US cities, lead (Pb) contamination of residential soil is widespread; however, contamination is not uniform. Empirically based, spatially explicit models can assist city agencies in addressing this important public health concern by identifying areas predicted to exceed public health targets for soil Pb contamination. Sampling of 61 residential properties in Baltimore City using field portable X-ray fluorescence revealed that 53 % had soil Pb that exceeded the USEPA reportable limit of 400 ppm. These data were used as the input to three different spatially explicit models: a traditional general linear model (GLM), and two machine learning techniques: classification and regression trees (CART) and Random Forests (RF). The GLM revealed that housing age, distance to road, distance to building, and the interactions between variables explained 38 % of the variation in the data. The CART model confirmed the importance of these variables, with housing age, distance to building, and distance to major road networks determining the terminal nodes of the CART model. Using the same three predictor variables, the RF model explained 42 % of the variation in the data. The overall accuracy, which is a measure of agreement between the model and an independent dataset, was 90 % for the GLM, 83 % for the CART model, and 72 % for the RF model. A range of spatially explicit models that can be adapted to changing soil Pb guidelines allows managers to select the most appropriate model based on public health targets. We are especially grateful to the homeowners for access to their property and to the University of California, Davis for use of the XRF. The building footprint dataset was used with permission under a license agreement with Baltimore City. Our understanding of GIS and spatial statistics greatly benefited from conversations with John Bognar, Dr. Adele Cutler, Amanda Elliot Lindsey, Dr. Elizabeth Freeman, Scott Haag, David Lewis, Dr. Zewei Maio, Dr. Samuel Simkin, Jim Trimble, and Dr. Weiqi Zhou. This work is a contribution to the long-term ecological research program (a program of the National Science Foundation) and the Cary Institute of Ecosystem Studies and was supported by NSF grants DEB 042376 and 0808418. Centers for Disease Control (CDC). (2012). CDC response to advisory committee on childhood lead poisoning prevention recommendations in “Low level lead exposure harms children: A renewed call of primary prevention.” Atlanta, GA. US Department of Health and Human Services. Available at http://www.cdc.gov/nceh/lead/acclpp/cdc_response_lead_exposure_recs. pdf. Accessed November 1, 2012. United States Census Bureau. (2012). Topologically Integrated Geographic Encoding and Referencing (TIGER) database. Census.gov. May 20, 2012. <http://www.census.gov/geo/www/tiger/>.